McDonald’s is planning to launch a mobile order and pay service in up to 25,000 restaurants worldwide by the end of 2018, starting in the US next year, the fast food giant has told NFC World. The company plans to “accelerate our digital efforts” in its top 10 markets within the next two years, with investments in-store and in its mobile app. 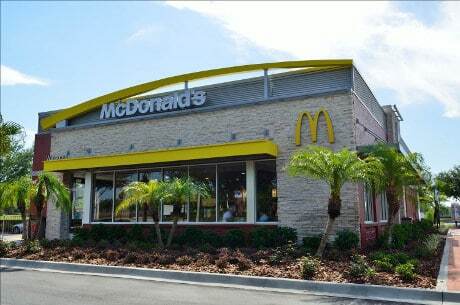 “The progress of our turnaround is enabling a significant increase in our digital technology deployment as we reallocate budget to accelerate the pace of this important customer-facing initiative,” a spokesman for McDonald’s says. “Our increasing digital investment applies to kiosks, our global mobile app and our point of sale system. Between 20,000 and 25,000 restaurants will be deployed with mobile capabilities in 2017 and 2018, with a heavy focus on the US. Details on how the service will work are not available, but the chain began testing a service that lets customers order their meal before they arrive at a restaurant and then collect it and pay by scanning a QR code at 22 locations in the Columbus, Georgia area, in June 2014.